The Rebel Sweetheart. 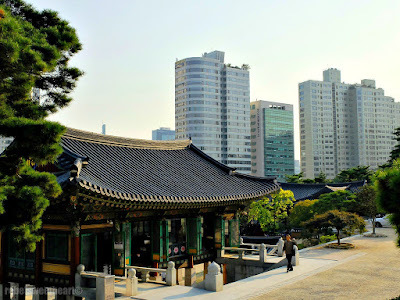 : Seoul Searching | Bongeunsa Temple. 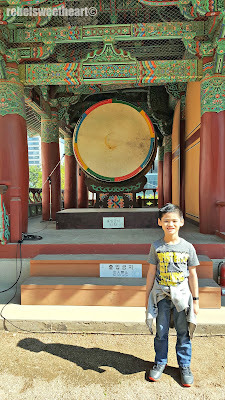 Seoul Searching | Bongeunsa Temple. Located smack dab in the middle of the Gangnam - amidst tower blocks, high-rise apartments, and the hustle and bustle of city life - is a place of peace, calm, and tranquility. 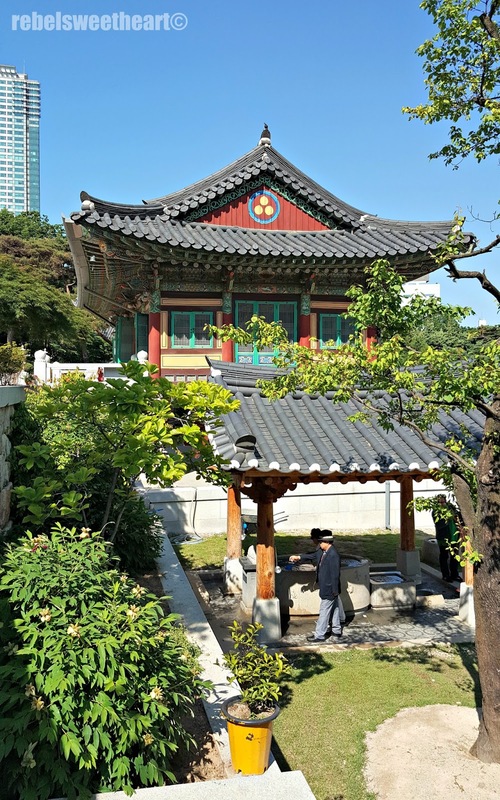 This seemingly peculiar site (and I say peculiar because it's located right across COEX Mall) is the Bongeunsa Temple, a Buddhist temple with more than 1000 years of history. A stark contrast against the bustling city. Originally known as Gyeonseongsa Temple, Bongeunsa was founded in 794 during the reign of King Wonseong of the Shilla Dynasty. Its founder was National Master Patriarch Yeonhei, the highest ranking monk during that time. 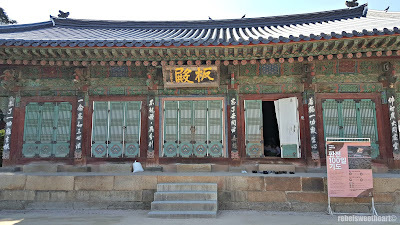 With orders from Queen Jeonghyeon, the temple was refurbished in 1498 and was then renamed as Bongeunsa. 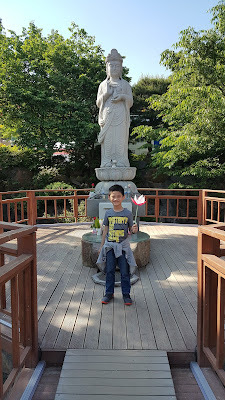 A monk statue located near Jinyeomun Gate, the first main entrance. Explore the beauty of Bongeunsa after the jump! 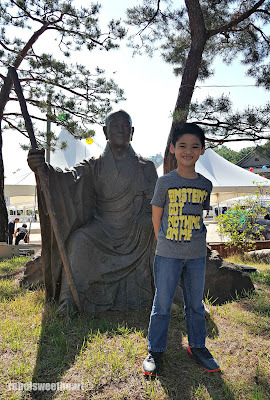 Buddhism was severely repressed during the Joseon Dynasty, when Confucianism was all the rage in Korea and all branches of learning in the country were rooted in Confucian thought. 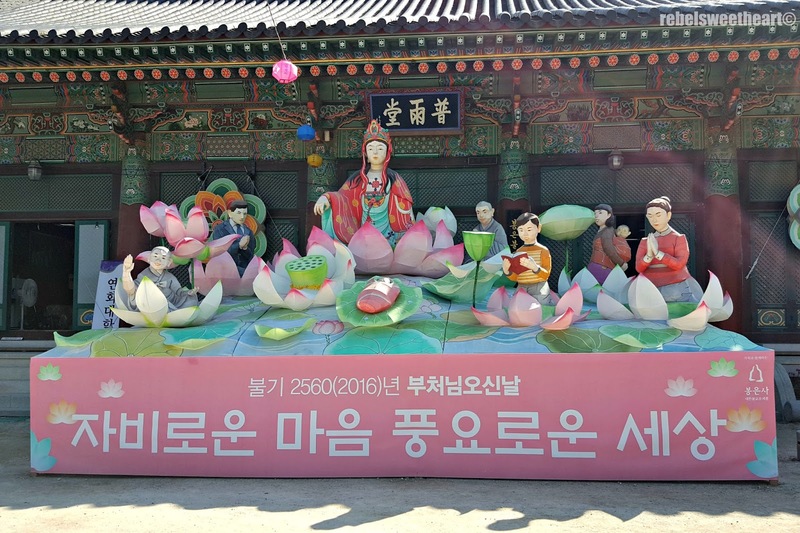 Bongeunsa Temple then became the cornerstone of the revival of Korean Buddhism, through the efforts of Queen Munjeong and Venerable Bowoo. Jinyeomun Gate, the one-lined pillar gate. 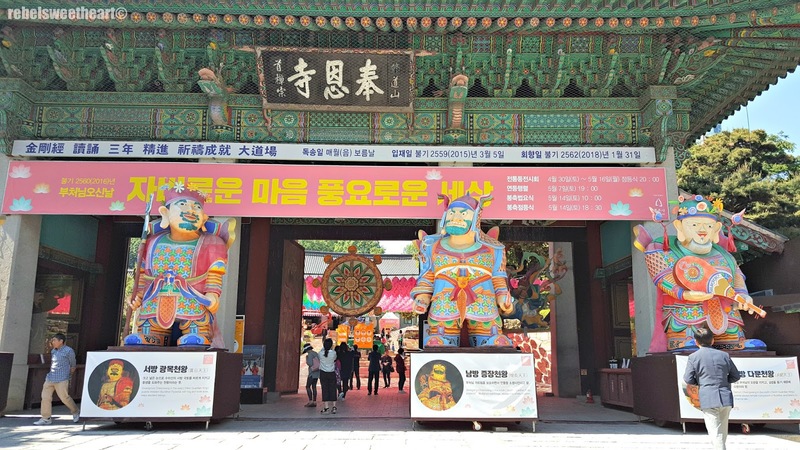 The Sacheonwang-sang or Statues of the Four Heavenly Kings. Each king guards one of the four directions. 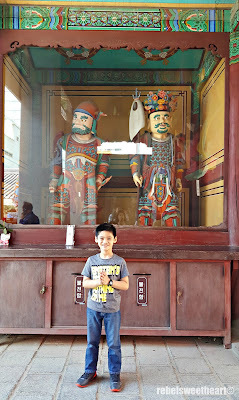 The statues are located just beside the gate. They're the first things you'll notice once you step inside. 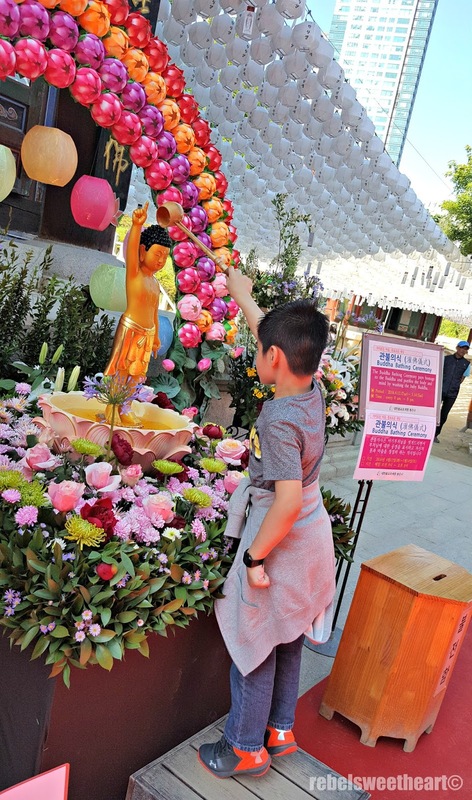 At present, Bongeunsa is carving a new milestone in Korean Buddhism through its practice-oriented temple management. 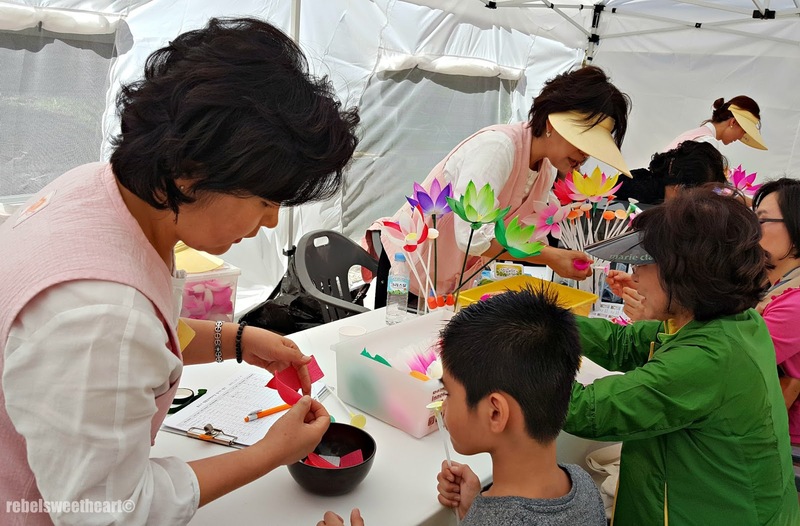 Through its Templestay Program, Bongeunsa aims to spread Buddhism and promote Korean culture to its visitors, foreigners and locals alike. A line of lanterns leading to the Beopwangru,the Dharma Hall. 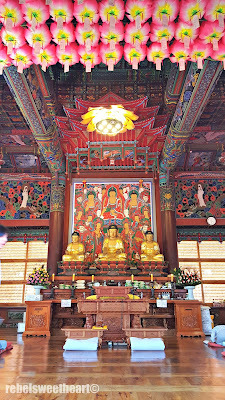 The Panjeon, where the wooden blocks of Avatamsaka Sutra are enshrined. 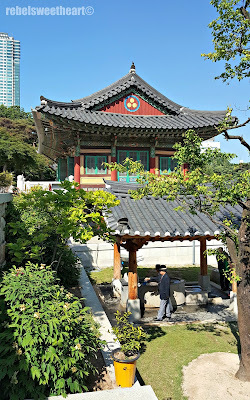 This is also the oldest building in the Bongeunsa Temple. 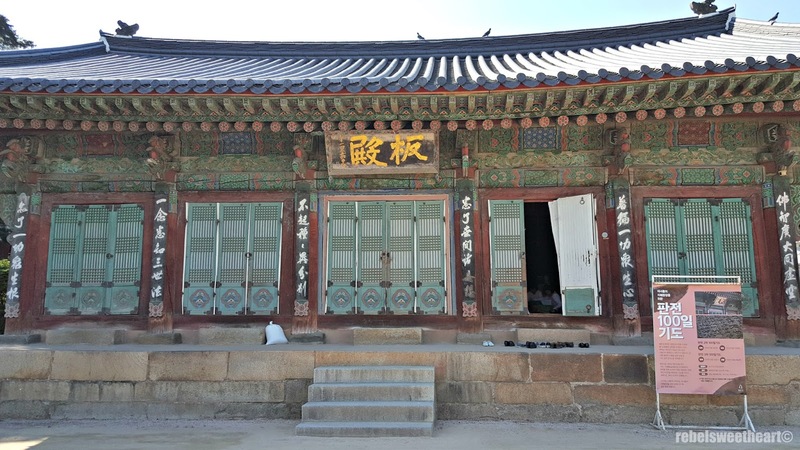 The program is actually an overnight stay in the temple, where participants can experience daily monastic life. This includes tea ceremonies, monastic meals, chanting rituals, making Buddhist rosaries, meditation, and the 108 prostrations (bowing). Also part of the program is a tour of the temple, which allows you to enjoy the peaceful atmosphere and soothe your mind and body at the same time. 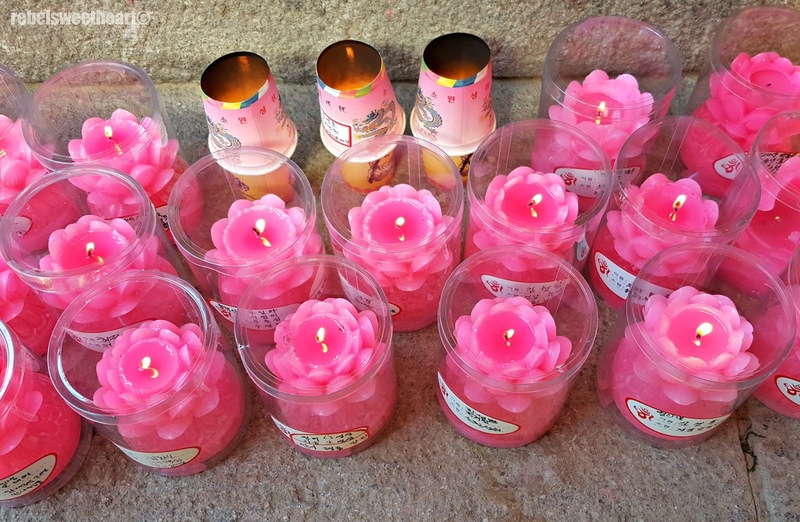 These are offerings placed in front of Daewongjeon, the main Buddha Hall. If you simply wish to take a tour of the temple and its surroundings, you may do so even without signing up for the Templestay program. The temple operates all year round; its doors open as early as 3:30 am, when the morning chants usually begin. Daewongjeon, the main Buddha Hall. A roof of lanterns overhead. Twice a day, at 4:10 in the morning and 6:40 in the afternoon, a percussion ceremony using the four instruments is performed by the monks of the temple. 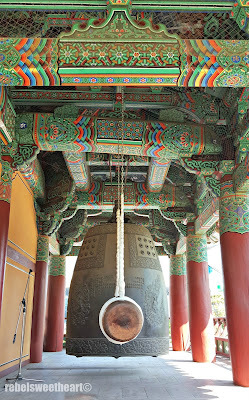 These instruments can be seen at the Bell Pavilion, or the Jongru, located just beside the Main Buddha Hall. 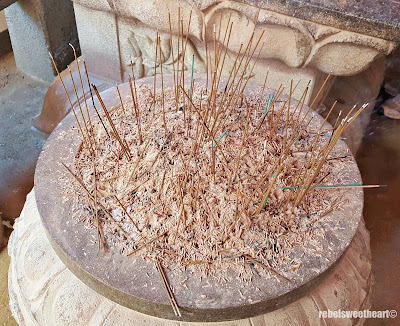 This ceremony is meant to save and awaken beings on the ground using the drum, beings underwater using the wooden fish, beings in the sky using the cloud drum, and beings under the ground using the gong. 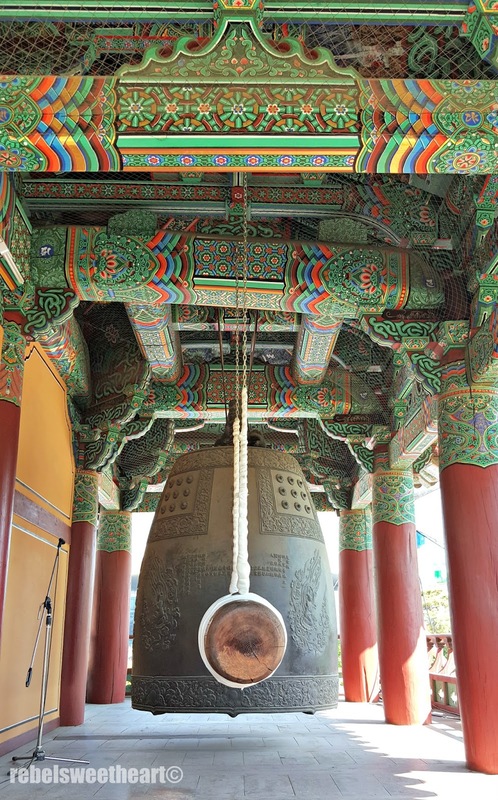 The Cloud-shaped Gong and the Wooden Fish. 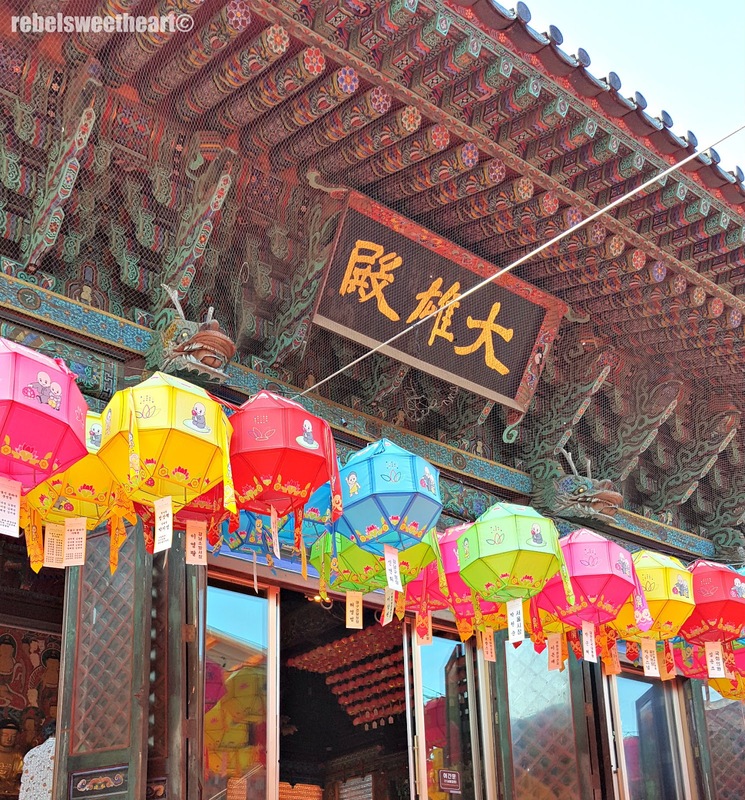 In the spring, Bongeunsa gets dolled up with colorful lanterns in honor of Buddha's birth. We were lucky to have visited the temple on the eve of Buddha's birthday, as we got to bask in the beauty of these lanterns, and had the chance to participate in some of the temple's activities. The Statue of Three Buddhas, a National Treasure in Korea. 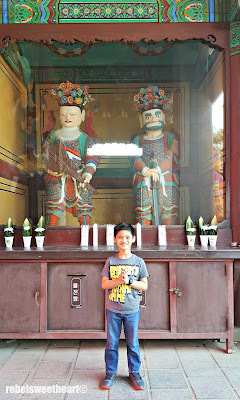 The most memorable thing that we did during our visit was bathing the baby Buddha, a ritual conducted every year during Buddha's birthday. This special ritual dates back to as early as the 5th century in China, and we had the rare opportunity to experience it for ourselves. Using a ladle, you scoop perfumed water and pour it over the statue of baby Buddha. This is done three times while reciting a Buddhist prayer. This ritual highlights a universal message of how easy it is to wash away physical dirt, yet it's very difficult to cleanse one's self of greed, anger, and ignorance. 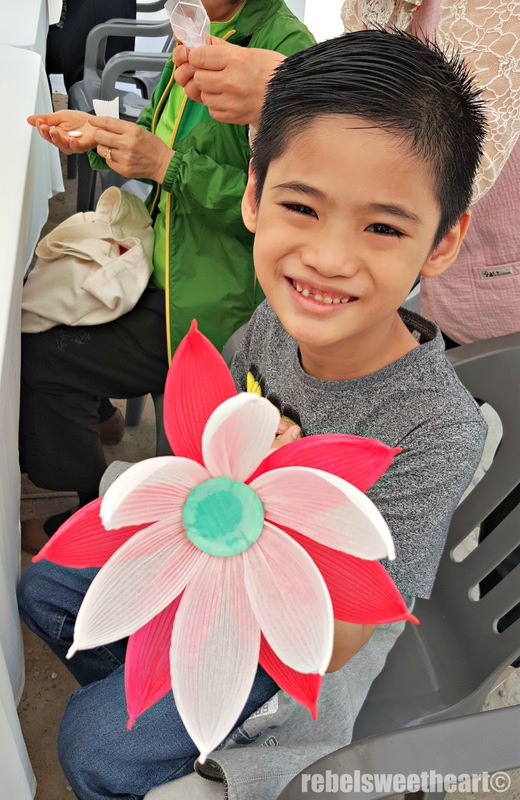 Aside from bathing the Buddha, my son also had the chance to make his own lotus lantern together with the other visitors. Yue was probably the youngest visitor on the list. 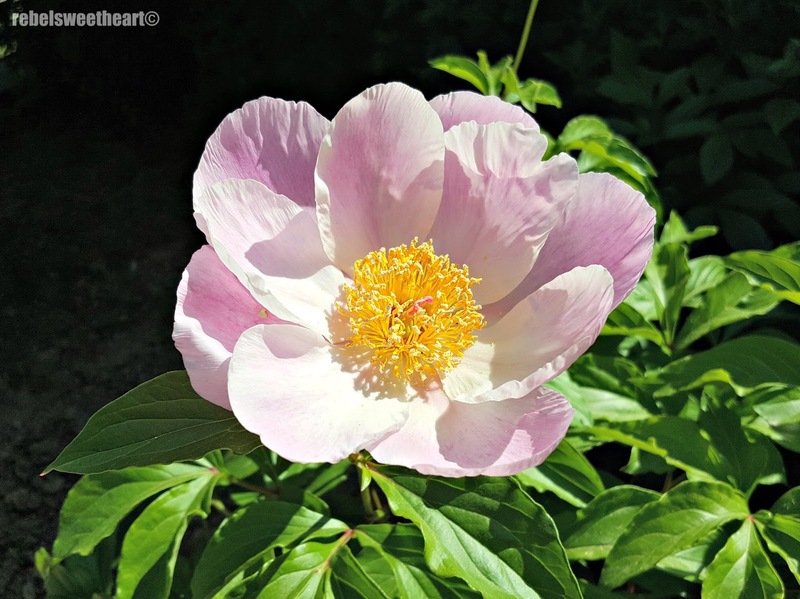 The most well-known symbol of Buddhism, the lotus represents purity of the body, speech, and mind, and the blossoming of good deeds. Lotus lanterns, on the other hand, signify the removal of ignorance with the light of awakening. Showing off his finished product! 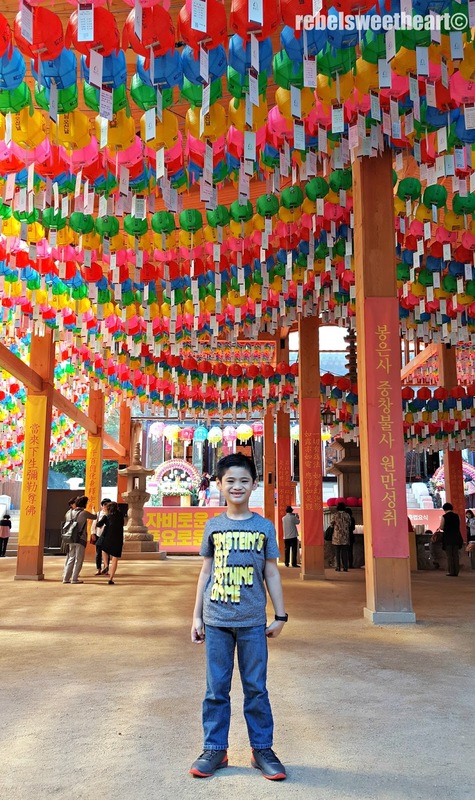 These lanterns can also be seen hanging all over the city as part of the Lotus Lantern Festival, an annual event also held in honor of Buddha's birth. 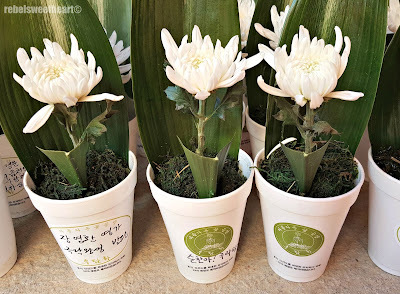 The float which will be used for the Lotus Lantern Festival. 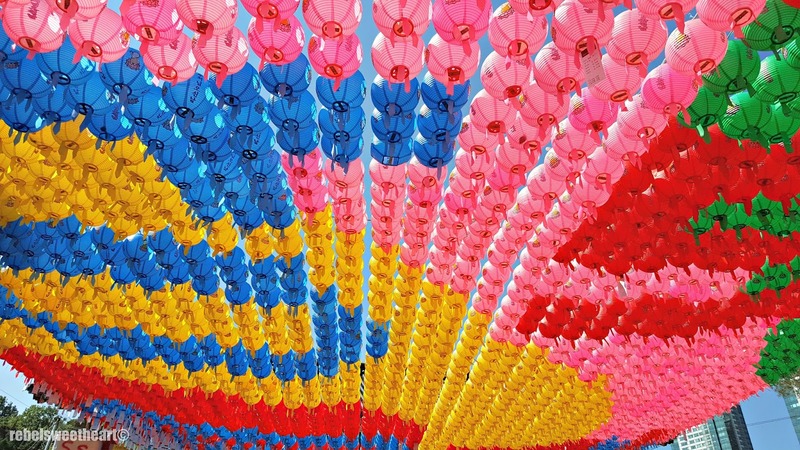 This event usually kicks off with the lighting of the Jangeumdang, a large lantern that symbolizes Buddhism, and is culminated by an impressive lantern parade in the heart of Seoul. 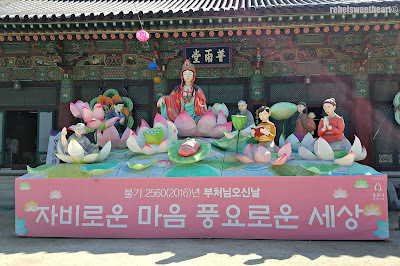 The Statue of Yeonji Gwanseum, placed in the center of a lotus pond. 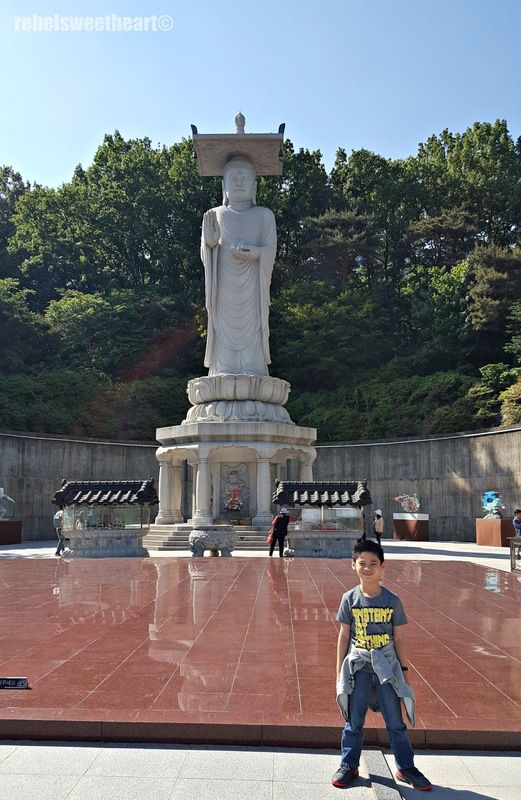 No trip to Bongeunsa Temple would be complete without seeing the Mireuk Daebul, the Great Statue of the Maitreya Buddha. This statue is so huge, that it would be impossible for anyone to miss it. The Great Statue of Maitreya Buddha. 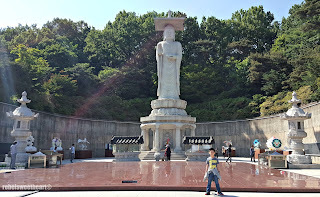 With a height of 23 meters, the Mireuk Daebul is the tallest stone statue in Korea. 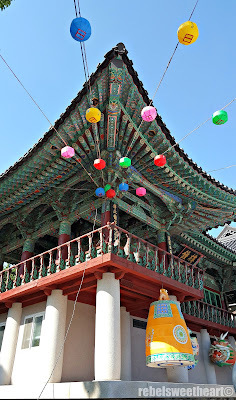 It's also the symbol most commonly associated with Bongeunsa Temple. To get to Bongeunsa, take the subway to Bongeunsa Temple Station Exit 1, or the Samseong Station Exit 6. Amazing experience. I can't believe that the temple was built centuries and centuries ago! Wow. Thanks for the new knowledge about the Lotus. I did not know it had that much significance in Korean culture. I've never visited anything like this aside from the one in China. It's amazing how they stay true to their tradition. I Haven't experienced being in a temple and I have not known about the lotus. This is very informative. 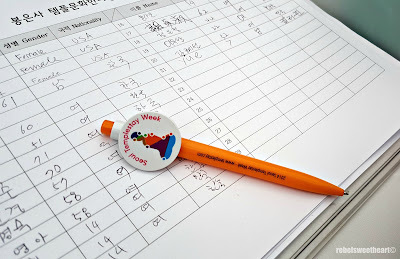 Seoul Searching | Hey, Hongdae! Sneak Peek | Missha x Minions. Spotlight | Innisfree Green Tea Balancing Skin. Sneak Peek | The Face Shop x Disney Collection. How To Lead A Healthier Life. Fashion Pulse | Finding Your Perfect (Bra) Fit.